India carried out key structural reforms at the right time -- when the growth rate was high -- and it will serve the country well in the days to come, Finance Minister Arun Jaitley said today. Some of the key reforms, including demonetisation and the GST, were carried out keeping in mind their long-term benefits to the country's economy and as a result India's growth rate is now headed for a higher trajectory, he said. "When the world was growing at two-and-a-half per cent, India was the fastest-growing major economy in the world. That was a time to really fix the roof. You don't have to wait for a downward slide in order to do it," Jaitley told a group of Indian reporters at a news conference here. "I think, this was just the right time to bring about structural changes," he said. The finance minister took a shot at his critics who claim that demonetisation has hurt the Indian economy -- at least in the short-run. "The fundamental question is: Does India continue to indefinitely be a cash dominated economy? To say it's a very risky proposition, it will have adverse consequences for a quarter or two, so let's not attempt it? Can India say, you will have de-stocking, so let’s not attempt a GST?," the finance minister asked. Among his critics were several leaders from the opposition Congress party; Jaitley said the BJP simply did what the Congress couldn't while they were in power. "Attacking or ending this black money was never a priority for the Congress. So their concern (about demonetisation) is natural. And GST was a Congress move. But since (the Congress) party is an opportunist party, it is opposing it," he said. "Populism is what we did not indulge in. We could have let people live in a cash dominated economy and let India continue to have a shadow economy and have everyone really prosper on that basis. (But) we struck a blow to that kind of an economy. That's not populism. That was the right economic policy to follow," he said. The Indian government has, however, received support from top leaders of the IMF and the World Bank who have called the slowness in recent Indian growth rate "an aberration" and a short-term one. Jaitley said the positive responses and statements about the Indian economy by the world leaders had "increased the confidence of India". "There is a global appreciation of the fact that India has the capacity and courage to carry out structural reforms like demonetisation and GST," he said. Jaitley said the upgraded global growth projections should be a further help to India's own growth rate. "Now that you have the global economy also improving, and that's the mood that I've seen at the IMF-Bank this time -- the IMF’s own projection for the world economy this year is 3.6 per cent and next years is 3.7 per cent -- the global tailwinds will also give better impetus to domestic growth," said Jaitley. "I think, we should be looking forward to a much higher growth trajectory (for India) in the days to come," he said. 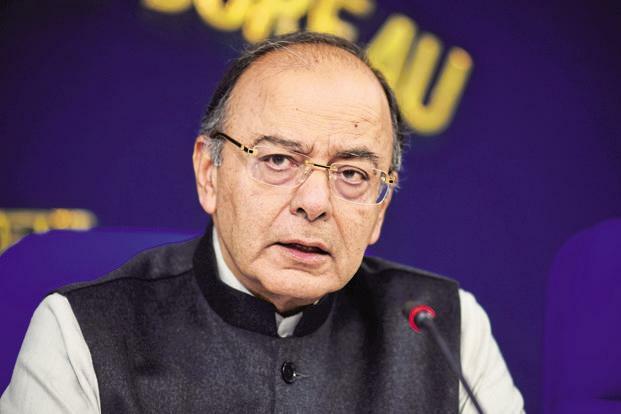 Responding to a question on the next phase of reforms, Jaitley said the government would now focus on large-scale investment in the infrastructure sector and rural area. "The government is working in that area," he said. মমতা আৰু কংগ্রেছৰ গা চেবাইছে কিয়?